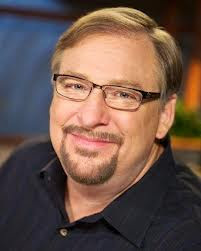 In an emotional letter to his church members, Pastor Rick Warren of Lake Forest, Calif.-based Saddleback Church told them that his youngest son committed suicide. “At 27 years of age, Matthew was an incredibly kind, gentle and compassionate young man whose sweet spirit was encouragement and comfort to many,” Warren, the popular author of The Purpose Driven Life, said in the letter. Matthew Warren, the youngest of three children of Rick Warren and his wife, Kay, killed himself Friday, the evangelical pastor said in the letter. NBC News reported that Warren was found dead of an apparent gunshot wound around 10 a.m. Friday in his home in Mission Viejo, Calif., according to supervising deputy Dan Aikin of the Orange County Sheriff-Coroner’s Department.